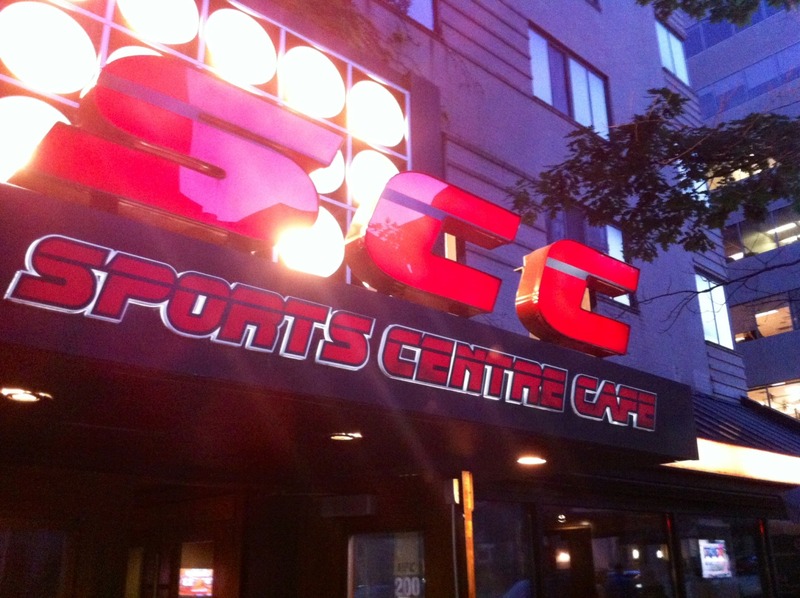 The Toronto Dingos received some bad news this past week; their sponsor pub and mainstay of post-training drinks, the SportsCentre Cafe, had been sold and would likely cease to be a sports bar within the next few weeks. Needless to say, this was a shocker and a hard turn of events for the club. For over 20 years, the Toronto Dingos have called the SportsCentre Cafe home. 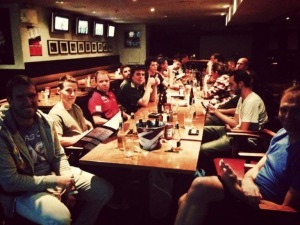 Through both good times and bad for the club, the SCC was a stable, familiar base where the boys could count on a warm welcome and drink specials while unwinding after a tough training at their ground at David Balfour Park. 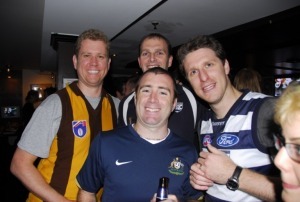 Past players and supporters always knew where they could find the boys on a Thursday night, and it was a common occurrence to have an ex-Dingo walk through the doors to catch up with old mates. More than just an after-training haunt however, the SCC opened its doors to a variety of Dingos events over the years; from legendary AFL GrandFinal parties, to Rookie Nights, to poker, karaoke, and other social nights. And the SCC always treated the boys well, serving as a longtime sponsor and supporting Dingos' events with energy and enthusiasm. It is hard to imagine a better partner for the club over the past 20 years and one that will be impossible to replace. 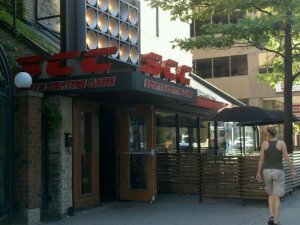 So before the club attempts to determine next steps, we will gather one last time after training this Thursday July 7th to salute an old friend, drink cheap Blue and Canadian buckets, see if there's anything new on the menu, ask if the wings come with fries, check on their three-cheese pizzas, watch some footy, and say goodbye. 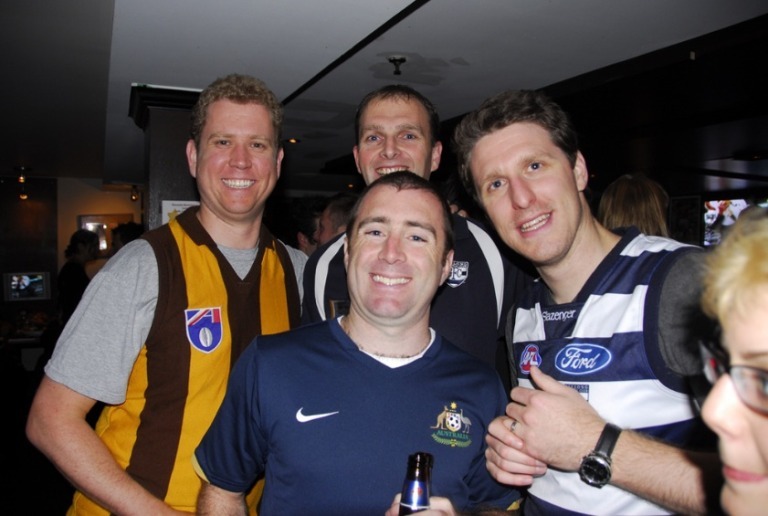 We hope that all Dingos, past and present, can join us for one last sendoff.